Kevin Conroy, the voice of Batman himself, has a message for all the fans who ask him "who would win in a fight, Batman or Superman?" Kevin Conroy (born November 30, 1955) is best known for his voice role as the DC Comics character Batman on the 1990s Warner Bros. television show Batman: The Animated Series, as well as various other TV series and feature films in the DC animated universe. 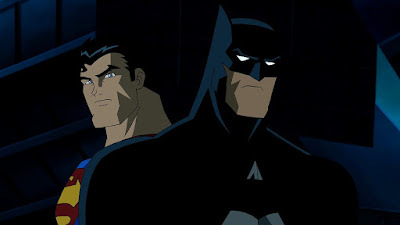 Due to the popularity of his performance as Batman, Conroy went on to voice the character for multiple films under the DC Universe Animated Original Movies banner; along with the acclaimed video games Batman: Arkham Asylum (2009), Batman: Arkham City (2011) and Batman: Arkham Knight (2015).